The production of the audiovisuals that appear in this section may have caused both physical and psychological harm to the wild animals used. FAADA have alerted the responsible contracting and audiovisual companies on this possibility. We have offered information on the situation and asked them to commit to not using wild animals in the future. Unfortunately, so far none of the companies have decided to take this step towards respect for animals. * If you are a company or professional that appears here and want to commit to not using wild animals in your work , or need advice for future productions, contact us The animals will thank you! 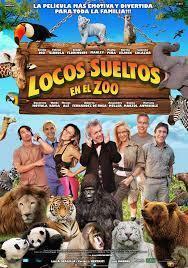 Desafortunadamente, los lobos que aparecen en la pel&iacute;cula ALPHA son reales. En la serie Olmos y Robles creen que tener un suricata de mascota es algo genial. Y tampoco les importa explotar a uno de verdad para filmar los epidosios. Basada en la novela de James Patterson en la que se relata una "ola de ataques violentos de animales astutamente coordinados que se rebelan contra la raza humana", esta serie estadounidense utilizó animales salvajes reales para el rodaje. 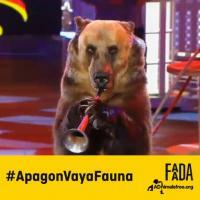 El 1 de Julio se estrenó Vaya Fauna, en Telecinco; programa que iba a centrarse en animales domésticos realizando actividades sorprendentes pero que acabó incluyendo también especies salvajes como a la osa Tima tocando la trompeta o un cachorro de león. 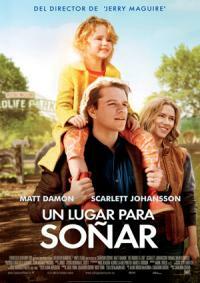 La película se estrenó en 2011 y habla de un hombre que tras la muerte de su mujer, decide rehacer su vida comprando un viejo zoológico y que consigue, junto a sus hijos, volver a abrir las puertas al público. "Locos sueltos en el zoo"
Esta pel&iacute;cula francesa rodeada en Mongolia cuenta la historia entre un estudiante de Pek&iacute;n y un lobo. La pel&iacute;cula fue realizada con verdaderos animales: varios caballos y un total de 25 lobos. The Foundation for the Adoption, Sponsorship and Defense of Animals (FAADA)is a nonprofit organization that aims to protect all animals. We are part of the World Society for the Protection of Animals (WSPA) and the Spanish representative of various international organizations working to improve the lives and legislation for pets, wildlife in captivity as well as animals used for food or in entertainment. (Registered in the Spanish Ministry of Environment, Rural and Marine Affairs, number 1/2004). FAADA realize actions and campaigns for the protection of all animals in order to raise awareness and sensitize society on the protection and defense of nonhuman animals from different angles, but always under the premise of defending nature and ultimately life. Pursuant to the Organic Law 15/1999 for the Protection of Personal Data, we inform you that the personal data provided is confidential and will be part of the FAADA Foundation's own files in order to streamline our management and service. You can exercise your rights of access, rectification, cancellation and opposition by writing to: FAADA Foundation, Rambla Prim 155-157 Entr.1ª, Barcelona, Spain. Si eres estudiante i necesitas información, escribe a educacion@faada.org.